I'm honoured to have been asked to take part in the blog tour for Woolly Wormhead's 10th Anniversary, I met Woolly a few years ago at a trade show, she is an amazing, inspiring designer and artist and a fierce friend. Left to right (top to bottom on a mobile browser): The purple hat with a beautiful crown is Ivydene, I love the relaxed fit and garter brim. 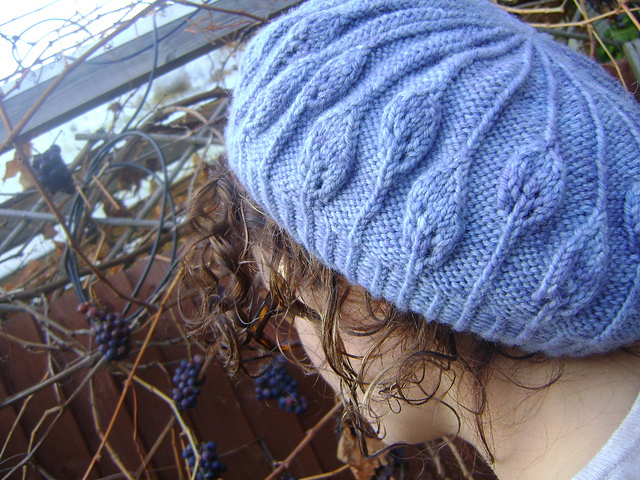 The bluebell blue hat is Limpetiole, this was a mystery KAL (this years mystery has just started here) and it was so much fun, the hat is very pretty and the crown decreases are pleasingly geometric. 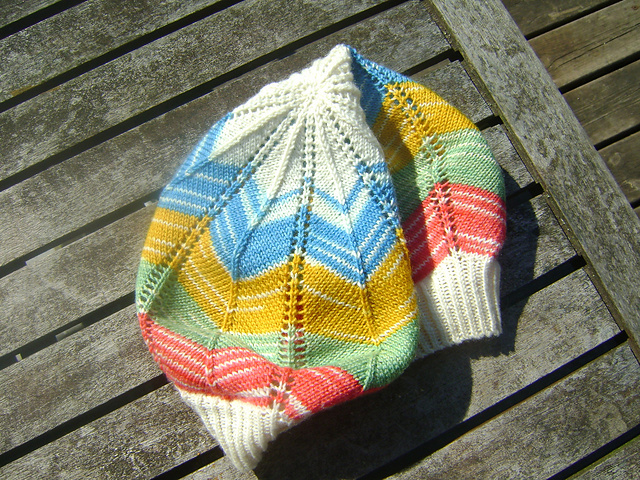 The striped hat is Symetrie, the chevron stitch looks great knitted in a yarn with a long colour repeat, I used some mini skeins from The Knitting Goddess. I knitted all these hats for me and all of these hats were stolen by my sister who has very big, curly hair and struggles to find hats to fit her (at least thats what she told me while batting her eyelashes and pouting). There is a hat for EVERYONE in Woolly's collection and she is a genius at matching hats and hat style to people, I have often seen her encouraging knitters to try on her hat samples at shows and often they are surprised at how well her suggestion suits them. 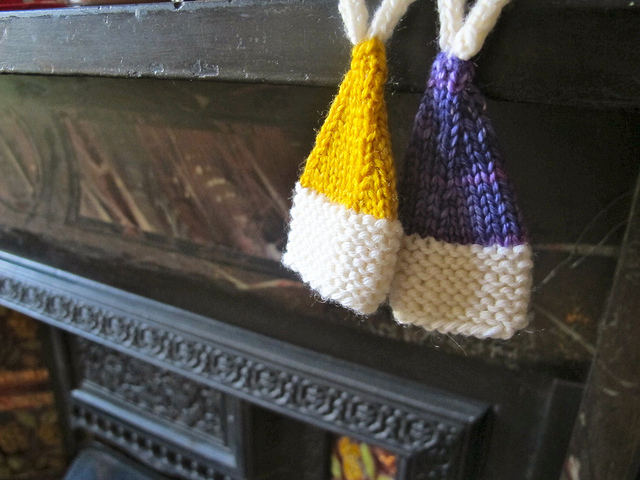 Minikins are super SUPER cute and quick and no Christmas tree should be without at least one. Ravine is my favourite proper hat, the construction is interesting. I love the turban like feeling of it, the cloche shape is very stylish and the seed stitch contrasting with the stocking stitch make my heart sing. Woolly has very kindly offered a free single pattern as a giveaway so you could choose Ravine or another beautiful design, she will also send the winner a handmade project bag, if you would like to enter to win this fantastic prize, tell me your favourite Woolly Wormhead pattern (you can see them all on Ravelry here) in the comments below. Good luck!